On August 24, 2018, the Arleigh Burke-class guided-missile destroyer USS Chung-Hoon (DDG 93) faced a problem that didn’t have a quick solution: A bolt from a hangar bay door roller assembly was stressed to the point of breaking, rendering the door unable to perform its basic task of opening and closing. 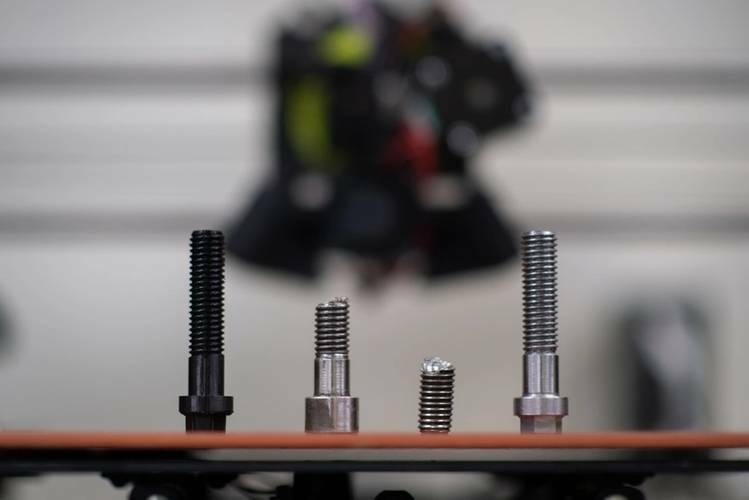 In order for Chung-Hoon to get this one bolt, they would need to order a whole new roller assembly, which would take time Chung-Hoon didn’t have. Underway as part of Carrier Strike Group (CSG) 3, Chung-Hoon was in close proximity to the Nimitz-class aircraft carrier USS John C. Stennis (CVN 74) and its machinery repair shop that was beginning to use technology that could save Chung-Hoon both time and money. John C. Stennis’ chief engineer, Cmdr. Kenneth Holland, and his team received a request from Chung-Hoon for a new bolt that would help repair the hangar bay door. Holland saw this as an excellent opportunity to use the 3-D printer installed by Naval Sea Systems Command (NAVSEA) in April as part of a Deputy Chief of Naval Operations for Fleet Readiness and Logistics (OPNAV N4) additive manufacturing acceleration initiative. The Chung-Hoon sent over the broken bolt to John C. Stennis where it was received by Machinery Repairman 1st Class Clinton Barlow. His objective was to design a bolt using 3-D CAD modeling software that uses geometrical graphics to create digital replicas, which can then be used to create the actual part. But before creating any pieces, Barlow and his team had to be properly trained on this new equipment. The training allowed Barlow to create a manufactured replica that would then be sent back to the Chung-Hoon to make sure that the newly created design would meet the specific requirements of the hangar bay door assembly and allow the team back on the Stennis to proceed with creating a new bolt from metal material with conventional manufacturing capabilities. The bolt from the Chung-Hoon is only an example of what the future holds for the capabilities of the 3-D printer. Holland and his team have created other pieces for systems that seem insignificant to most people but can effectively save the ship and the Navy money. That single plastic knob, designed by Barlow and created by the 3-D printer, ultimately saved the ship a substantial amount of money. The process for creating some of these items can take as little as one hour. All a Sailor has to do is bring a sample of the part that needs to be created and submit a request, where it is then authorized by various members of the Engineering Department’s chain-of-command, depending on the size and intricacy of the item. Once the request is approved, Barlow will break down the part using basic geometry and redesign that piece into the system. After the software renders the design, it is then sent to another program that splices the piece into various segments so that the printer understands how much to fill on the inside of the item for proper durability. Finally, the design is sent to the printer which then uses plastic to create the item. 3-D printing is a step into the new age of technological advances that makes the Navy a more effective fighting force. Holland and his team are looking for new ways to use this equipment to make sure they can save the Navy man-hours and money on a daily basis. 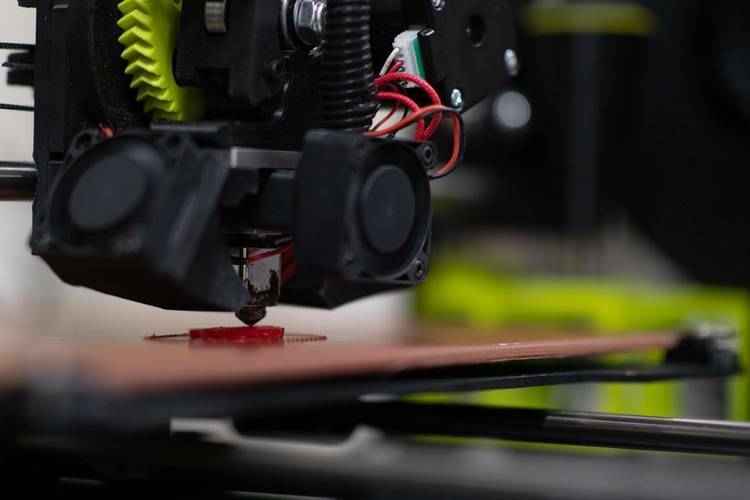 3-D printing is the way of the future - it will be used to keep systems up when ships are deployed - and John C. Stennis is capitalizing on the movement now.